It has been said that the most complicated film genre is a comedy. It is enough to shoot the similar melodrama to Hachi: A Dog's Tale to make a viewer cry. Directors create panic using Alfred Hitchcock’s techniques to scary movie fans. But actors need to do their best to make viewers cack themselves laughing. He needs not only to have impeccable charisma but also be able to show the typical life problems of an ordinary person in a funny manner. 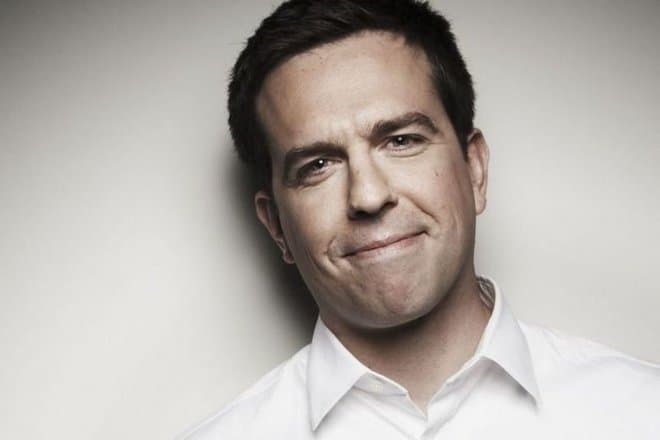 Ed Helms, who played in The Hangover, is worth mentioning along with comedians Jim Carrey, Leslie Nielsen, Steve Martin. The future actor was born on January 24, 1974, in Atlanta, Georgia. It is noteworthy that the actor's parents do not belong to the world of cinema. 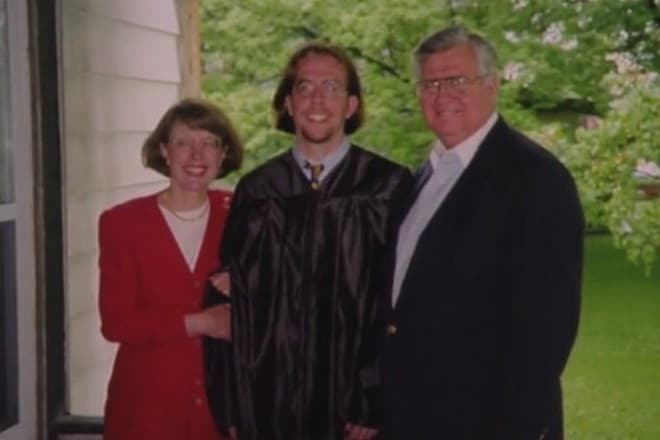 Ed's father John A. Helms worked as a lawyer and solved legal issues. He also was an insurance executive and Navy veteran. John Helms's wife, Pamela Ann (née Parker), was a school administrator. The actor grew up in a large family. Ed is the youngest of three children, having a sister, Susan, and a brother, Paxton, who now works as a geography teacher in high school. As a child, the future actor had health problems. The 13-year-old boy underwent a major heart operation after doctors diagnosed subaortic stenosis. When Ed was 18 years old, he graduated from the school, located in Westminster, the historic district of London. Helms became a student at Oberlin College and studied at the Faculty of Geology. Besides, Ed was an exchange student at New York University's Tisch School of the Arts. The comedian also is the recipient of an honorary degree from Knox College. 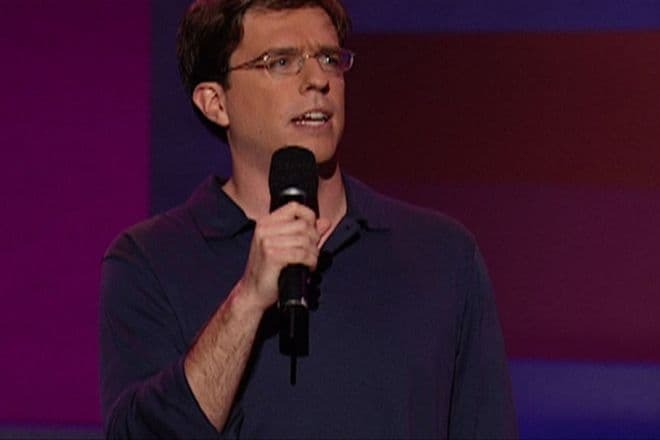 It is not surprising that Helms became a famous comedian. As a child, the future actor was a charming boy with a sense of humor, making people around him laugh. However, his path to fame was thorny. At first, the young man worked as a screenwriter, and then played the bit and insignificant roles. 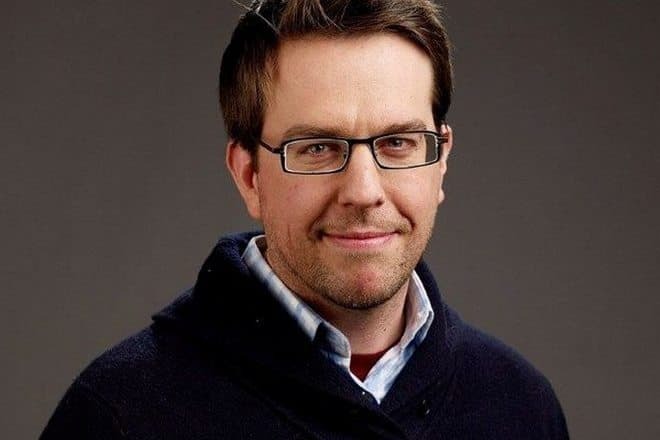 But Ed Helms did not give up, and it was not in vain because soon all of America began talking about him. The standup comedy experience helped Helms very much. He had to move the audience to laughter using improvisation. The young man did not have the right to make a mistake in comparison with movie actors. Directors shoot again in case of failure, but Ed “performed live." When Helms saw smiles on people’s faces, he had no doubts about his vocation. Many people notice that Ed's improvisation can be called "noble." The actor's jokes were not sarcastic, and he did not quirk like George Carlin, Louis C. K. or the godfather of trolling, Andy Kaufman. 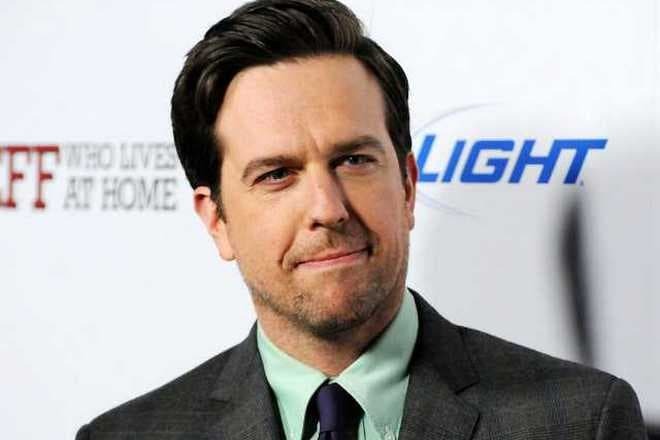 Moreover, Ed Helms is known for participating in the show with John Stewart, where he performed in the role of a journalist who told stories, thereby making fans laugh sincerely. As for acting career, Helms lived in the shadow for a long time. 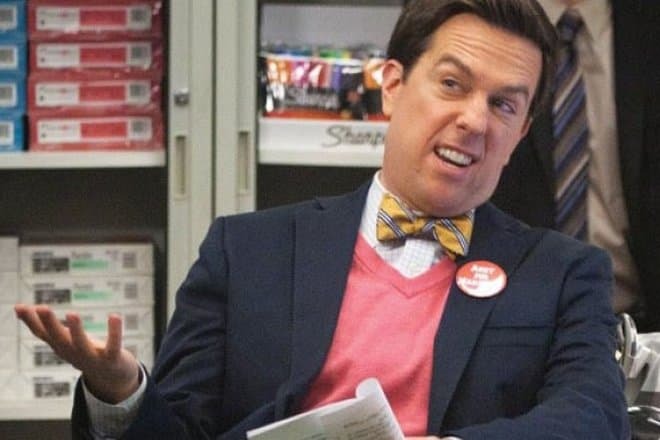 In the summer of 2006, the NBC channel announced that Helms was added to the cast of the mockumentary The Office. The plot of this series is quite trivial. The action takes place in Dunder Mifflin regional office, which supplies paper products. Directors show the life of every clerk: "white-collar workers" perform not only routine work, but have their own quirks, habits, and problems. In 2008, Ed played in the comedy Harold & Kumar Escape from Guantanamo Bay and also starred in the film Meet Dave, where his partners on the set were Eddie Murphy, Elizabeth Banks, Kevin Hart and other actors. 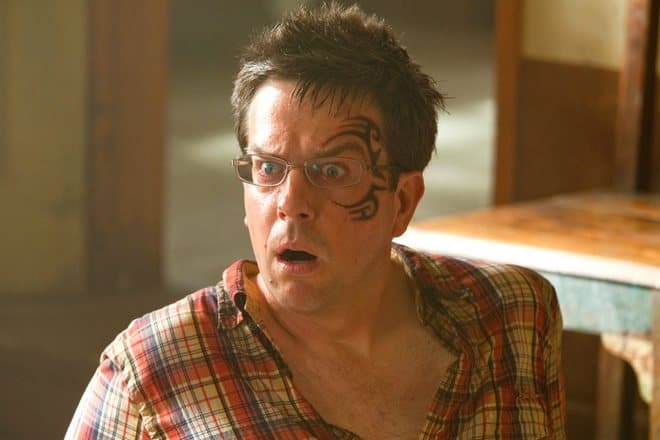 In 2009, Ed Helms had a real breakthrough after he played the role of Stuart Price in Todd Phillips’s film The Hangover, where Bradley Cooper and Zach Galifianakis also took part. The plot of the comedy tells about friends who dreamed of spending an unforgettable time. However, the men have to recall what happened after the party. They don’t know why there is a tiger in the bathroom and where the groom is. 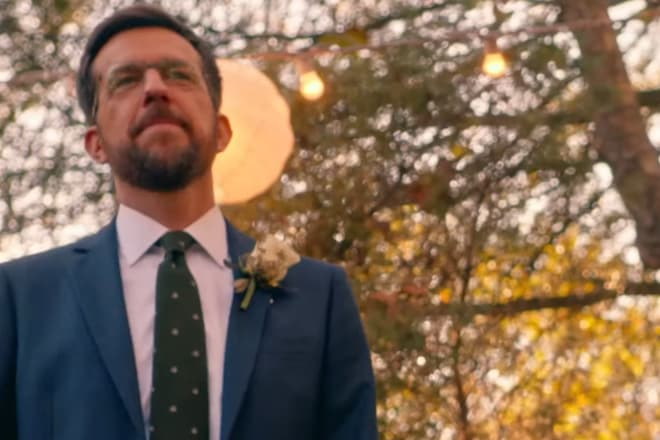 Instead of a confident guy or a clumsy man who becomes a burden to everyone Helms got the role of a dull unlucky bridegroom. "It's amazing, but a "cool guy" in our team is me." Later, Helms's filmography included roles in the films Cedar Rapids (2011), Jeff, Who Lives at Home (2011), Dr. Seuss’ The Lorax (2012, voice) and many others. 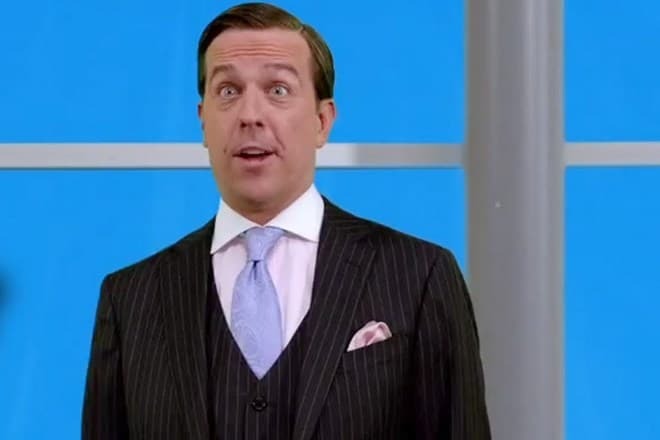 In 2013, the actor starred in the comedy film We're the Millers along with Jennifer Aniston, Jason Sudeikis, Emma Roberts and Will Poulter. The plot of the movie tells the audience about weekdays of a small-time drug dealer, David Clark, who sells psychotropic substances to cooks and bored housewives. When criminals beat the protagonist on the street and took away his money, he needed a new plan on how to restore his fortune. 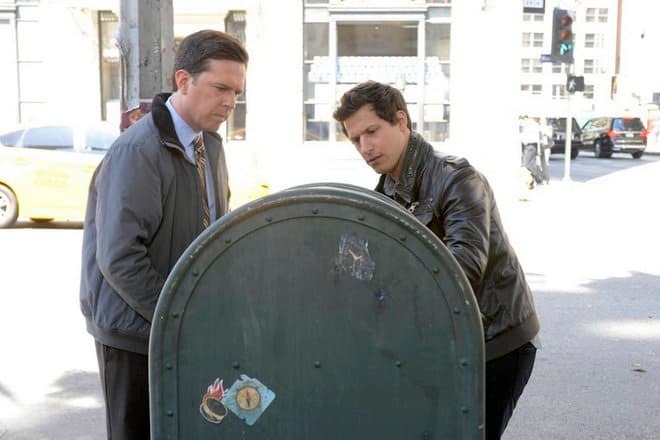 In 2013, Helms also played a bit part in the series Brooklyn Nine-Nine, which featured Andy Samberg, Andre Braugher, Terry Crews, Melissa Fumero. Although Helms got only bit parts after The Hangover, viewers like and notice the charismatic man. The exception was the movie Love the Coopers with Diane Keaton, John Goodman, Alan Arkin and Amanda Seyfried. The enchanting comedy, shot in 2015, tells about four generations of one family, who gather at one festive table on Christmas Eve. In 2017, Helms was lucky enough to play one of the roles in the movie Bastards, which also featured Glenn Close, J.K. Simmons, Kathryn Aselton, Owen Wilson, Bill Irwin and Ryan Cartwright. The movie tells about two brothers who were sure that their father passed away. But, when the title characters find out that this is far from the case, they go in search of their father and find themselves in funny situations. 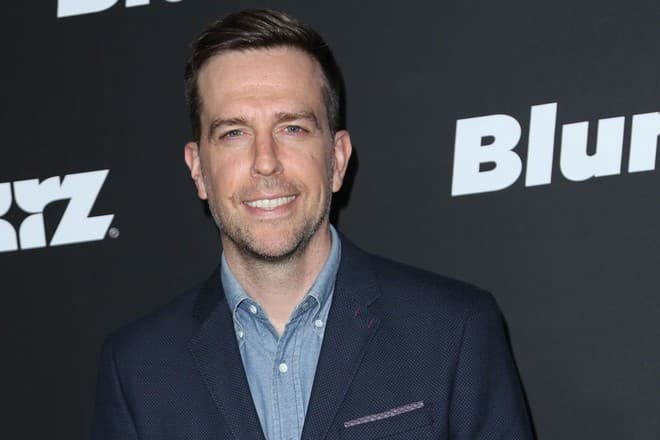 Cheerful Ed Helms leads an active lifestyle. The man loves traveling, and also attending art events. The actor also has a hobby. He is fond of music: he plays the banjo, guitar, and piano, as evidenced by photos and videos on Instagram. The artist occasionally performs at concerts with his good friends, calling their band The Lonesome Trio. But fans do not know whether he has a girlfriend. Either the actor carefully hides his personal life, or the man whose height is 183 cm and the weight is 76 kg has never met his soul mate. The actor continues to accept proposals from directors. In 2018, Ed starred in Jeff Tomsic’s film Tag. The comedy tells about five friends’ tradition. Since 1983, they have played tag every May. But Jerry is the only member of the group who has never been tagged. Therefore, the rest of the heroes have to come up with a cunning plan. It is noteworthy that Helms got the leading role.